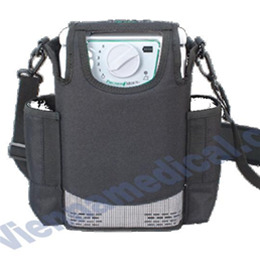 EasyPulse Portable Oxygen Concentrator, only POC that provides 5 liters per minute at 6lbs. 6 hours of battery life with additional battery pack. 3.2 hours on internal battery. All cords included.